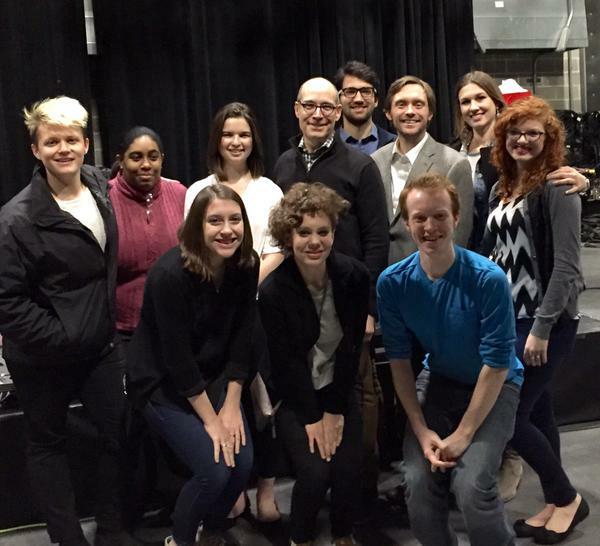 A group of faculty and students from the Department of Theatre embarked on a 4-day professional networking trip to Chicago in March, 2015. Chair of the theatre department, Julia Guichard said that feedback from the students was overwhelmingly positive. "Their comments (below) clearly articulate the value of this experience." The trip was supported by funds from Miami University Career Services, College of Creative Arts, Miami University Advancement Services, and the Miami Family Fund.